The DreamTree Project Emergency Youth Shelter is open 24-7, to youth ages 12 to 17 who don't have a safe place to stay. You can stay as little as an hour or up to 90 days. While at Dream Tree our staff will help you evaluate the situation and navigate available options. If you or someone you know needs help, call us 24 /7 at 575-758-9595, or text us at 575-770-7704. 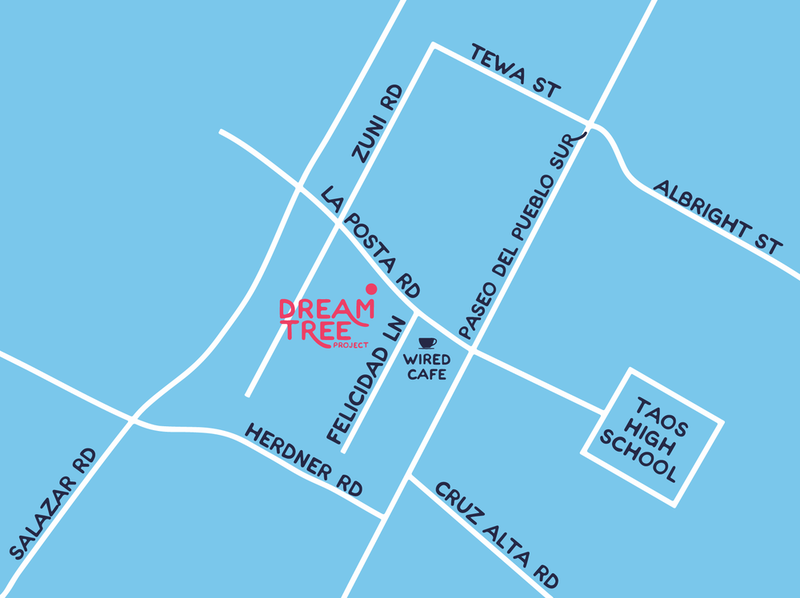 Our Emergency Youth Shelter is located at 128 La Posta Rd in Taos, NM, behind Albertson’s. You can come in anytime, or you can take a tour - just stop by, call us at 575-758-9595, or text us at 575-770-7704.